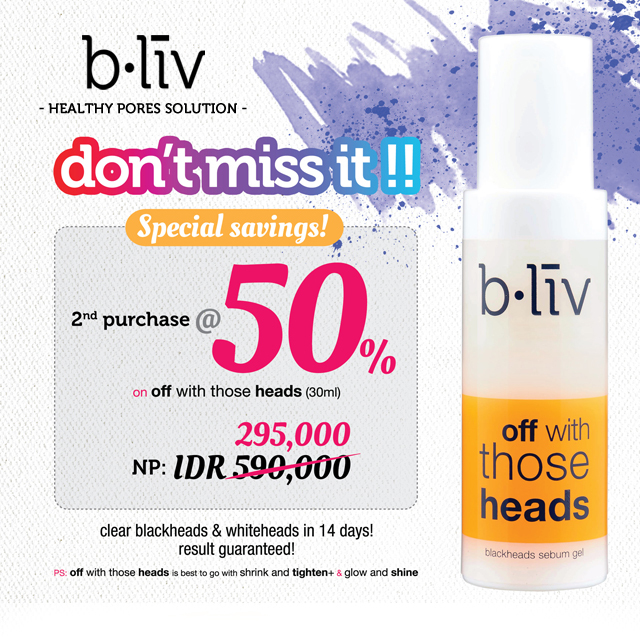 Hello, lovelies~ Remember the blackhead remover serum gel from bliv that I have reviewed not too long ago? I had questions on how to buy it because a lot of people are interested because of the painless factor in removing those pesky blackheads. Well, look no further because I have good news for you who is living in Indonesia and looking to get your hands on the bliv Black Sebum Gel. 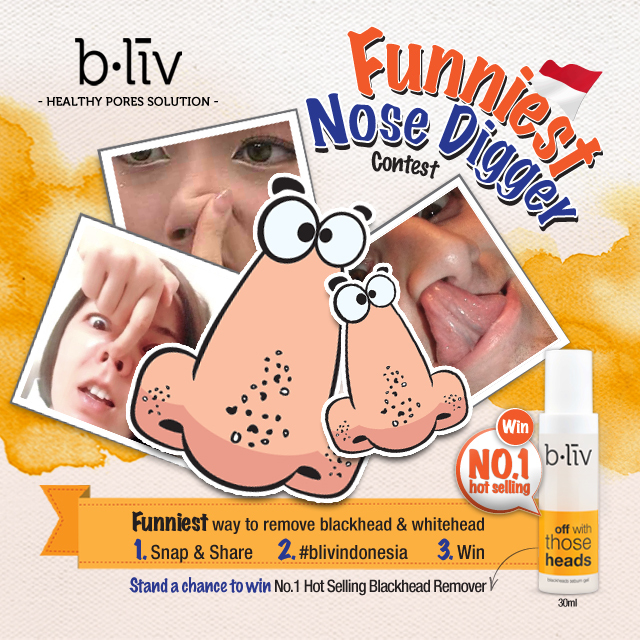 bliv Indonesia is currently having a contest on their facebook page and the winner can walk away with a bottle of bliv Blackhead Sebum Gel to remove those blackheads. Yes, the one that has the tongue up his nose is quite gross, but hey, maybe it can help you win the prize. All you have to do is just take your most unique and creative photo of how you remove blackheads and share it on your facebook and use the hashtag #blivindonesia. Easy right? What have you got to lose? On a another note, for those living in Jakarta, specifically going to Universitas Tarumanegara, you're in luck. bliv Indonesia is having a roadshow promoting their famous blackhead sebum gel on the 20-24th October 2014. If you're looking to buy it, don't forget to bring your friend along because they're having a 'Buy 1, get 1 half off'! Not bad, right? If you're interested, just come over to their booth at Lot A32, Car Park open air with flat tent.